Sunray’s ExcluDoor® range of steel security doors are certified by LPCB to LPS 1175 Issue 7 Security Rating, (SR) 3, 4, 5 and 6 and the ExecDoor® is certified by LPCB to LPS 1175 Issue 7 Security Rating 1 and 2. 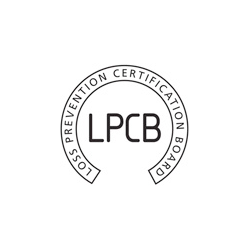 The Loss Prevention Certification Board (LPCB) LPS 1175 Issue 7 – Loss Prevention Standards criteria, can be seen here. 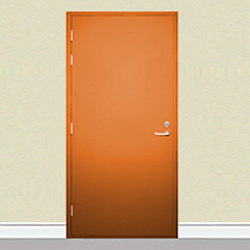 Fire rated doors are tested in accordance with BS EN 1634-1: 2008 and LPS1056: Issue 6.1. Our ExecDoor® 1 range of steel doors and doorsets withstood attack for a maximum test duration of 10 minutes with a maximum working time of 1 minute from a variety of hand tools, as below. Note: The tools of this category are selected in order to simulate attack by bodily physical force and by stealth using minimal tools. Please see our ExecDoor® 1 range which has been tested to LPS1175 level 1. Our ExecDoor® 2 range of steel doorsets resisted a series of attacks, each lasting up to 15 minutes with a maximum working time of 3 minutes using a variety of hand tools as below. Please see our ExecDoor® 2 range which has been tested to LPS1175 level 2. Our ExcluDoor® 3 range of steel doorsets withstood attack for a maximum test duration of 20 minutes with a maximum working time of 5 minutes using a selection of hand and battery operated power tools, as below. 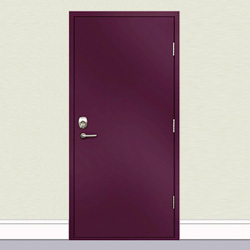 Please see our ExcluDoor® 3 range which has been tested toLPS1175 level 3. 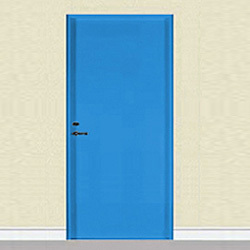 Our ExcluDoor® 4 range of steel doorsets have been proven to be capable of withstanding experienced attempts at forced entry using a selection of power tools over a maximum test period of 30 minutes with a maximum working time of 10 minutes from any combination of regardless of noise, as below. 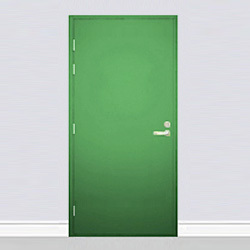 Please see our ExcluDoor® 4 range which has been tested to LPS1175 level 4. 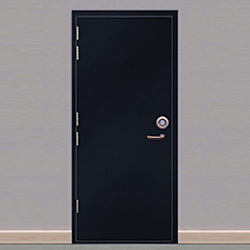 Please see our ExcluDoor® 5 range which has been tested to LPS1175 level 5. Our ExcluDoor® 6 range of steel doorsets withstood professional attempts at forced entry into higher value storage areas for a maximum test duration of 30 minutes with a maximum working time of 10 minutes from any combination of tools, as below. *Measured at standard ambient temperature and pressure, purity <99.0%. Note: This tool category provides a professional means of attempting forced entry into higher value storage areas generally after penetrating a facade. Although the tool category incorporates mains powered tools, this serves to cover those risks where the criminal may use tools of powers greater than those permitted in toolkit D, including battery powered, petrol driven and mains powered up to that possible with the tools specified in this tool kit. 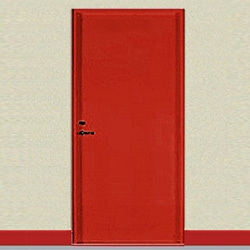 Please see our ExcluDoor® 6 range which has been tested to LPS1175 level 6. Physical security products help to protect a building or critical access point from the unwanted attentions of opportunist or experienced criminals and also terrorists. This type of protection provides the time needed for security personnel to respond to attempts to break-in. For a number of years LPCB has been working with Government, police and utility companies to develop a system of classifying the resistance of elements to forced entry. The result of this work is LPS 1175 Issue 7 (Specification for testing and classifying the burglary resistance of building components, strongpoints and security enclosures). LPS 1175 Issue 7 is based on manual attack testing and defines eight levels of resistance. These are measured in terms of attack tools and time available to the attacker, and enables specifiers to select products according to the risks that they and their property face. Sunray’s ExcluDoor® range of steel security doors are certified to LPS 1175 Issue 7 Levels 3, 4, 5 and 6 and the ExecDoor® range is certified to LPS 1175 Issue 7 Levels 1 and 2. This standard is the benchmark for the specification for new buildings and for target hardening existing sites. If you specify LPCB approved security solutions you will reduce the risk to you and your property. LPCB work with insurers, Government, police, designers, manufacturers, contractors and end users to develop methods by which product performance and reliability can be assessed. This relationship with stakeholders enables the LPCB approvals process to help ensure that products meet and continue to meet the needs of specifiers and end users. All the products approved by LPCB have been subjected to rigorous testing to assess their resistance to deliberate attack. LPCB’s approvals process also helps ensure (through regular auditing) that the product continues to comply with the relevant standard and that the product available in the marketplace performs to the same level as the product which was originally tested and approved. BRE Global product testing and approvals are carried out by recognised experts in our world renowned testing laboratories. BRE Global is a trading subsidiary of the BRE Trust, the registered research and education charity which owns the BRE Group.